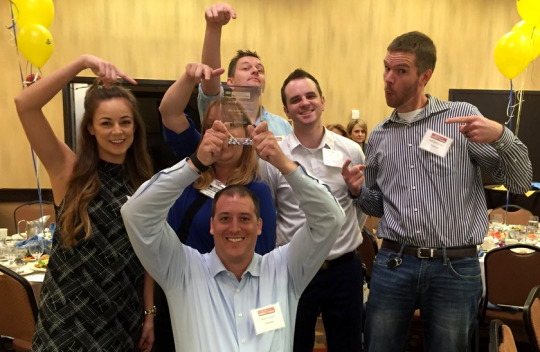 We are proud to be named one of Sactown’s Best Places to Work by the Sacramento Business Journal. Our 90 Riskalyzers get all the credit! Read the full release below and learn more about working with us at https://www.riskalyze.com/careers. Riskalyze, the company that invented the Risk Number and delivered the world’s first risk alignment platform for financial advisors, was named one of the region’s “Best Places to Work in 2015” by the Sacramento Business Journal. The award recognizes Sacramento-area companies that are demonstrably successful at maintaining a high level of engagement and satisfaction among their employees. In its article featuring Riskalyze, the Sacramento Business Journal specifically recognized the company’s inclusive culture, accountable and transparent leadership, and open communication, among other qualities. Traditional perks, such as limitless vacation time, stock options, or social events, are outweighed by larger benefits – namely, the freedom Riskalyze’s senior leadership grants to their employees, and the opportunities for growth and advancement available to employees at all career levels. By showing their employees that their time and effort is deeply valued, Riskalyze has earned its reputation and ranking as one of Sacramento’s Best Places to Work. Each year, American City Business Journals commissions Quantum Workplace to facilitate a third party employee engagement survey to the region’s private companies. With a focus on ways in which companies create opportunities for their staff, how leadership ensures employees feel valued, and the perks available to their staff, the winning companies were selected in four size categories based on local FTE employee survey responses and response rates. For more information about Riskalyze, please visit www.riskalyze.com. For media inquiries, please contact riskalyze@ficommpartners.com. Riskalyze is the company that invented the Risk Number, which powers the world’s first Risk Alignment Platform, empowers advisors to execute the digital advice business model with Autopilot, and enables compliance teams to spot issues, develop real-time visibility and navigate changing fiduciary rules with Compliance Cloud. Advisors, broker-dealers, RIAs, asset managers, custodians and clearing firms today manage $121 billion on Riskalyze’s platform in pursuit of its mission to align the world’s investments with each investor’s Risk Number. To learn more, visit www.riskalyze.com.